For the Doldrums album, see Secret Life of Machines (album). Educational television or learning television is the use of television programs in the field of distance education. It may be in the form of individual television programs or dedicated specialty channels that is often associated with cable television in the United States as Public, educational, and government access (PEG) channel providers. Tim Hunkin is an English engineer, cartoonist, writer, and artist living in Suffolk, England. He is best known for creating the Channel Four television series The Secret Life of Machines, in which he explains the workings and history of various household devices. He has also created museum exhibits for institutions across the UK, and designed numerous public engineering works, chiefly for entertainment. Hunkin's works are distinctive, often recognisable by his unique style of papier-mâché sculpture, his pen and ink cartoons, and his offbeat sense of humour. Rex Garrod is an inventor and roboteer, notable for building the radio controlled car which starred in Brum and co-presenting The Secret Life of Machines. He also entered several successful robots into the early series of British TV series Robot Wars. Each of the Secret Life's individual series covers a particular set of machines. The first addresses household appliances, while the second includes devices used outside the home, such as the car. The third series examines the contraptions and gadgets used in a modern office. Each episode was given an individual title, such as The Secret Life of the Vacuum Cleaner. Although ostensibly about a specific appliance or piece of technology, the scope of each episode was often widened to cover related technologies as well. For example, the video recorder episode looked at magnetic recording from its origins, and featured Hunkin and Garrod recording their voices on a crude home-made "audio tape" consisting of rust-coated sticky tape. A video tape recorder (VTR) is a tape recorder designed to record and playback video and audio material on magnetic tape. The early VTRs are open-reel devices which record on individual reels of 2-inch-wide tape. They were used in television studios, serving as a replacement for motion picture film stock and making recording for television applications cheaper and quicker. Beginning in 1963, videotape machines made instant replay during televised sporting events possible. Improved formats, in which the tape was contained inside a videocassette, were introduced around 1969; the machines which play them are called videocassette recorders. Agreement by Japanese manufacturers on a common standard recording format, so cassettes recorded on one manufacturer's machine would play on another's, made a consumer market possible, and the first consumer videocassette recorder was introduced by Sony in 1971. 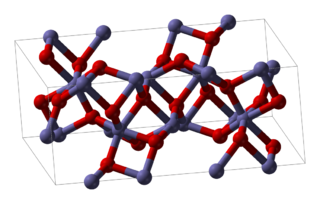 Iron(III) oxide or ferric oxide is the inorganic compound with the formula Fe2O3. It is one of the three main oxides of iron, the other two being iron(II) oxide (FeO), which is rare; and iron(II,III) oxide (Fe3O4), which also occurs naturally as the mineral magnetite. As the mineral known as hematite, Fe2O3 is the main source of iron for the steel industry. Fe2O3 is readily attacked by acids. Iron(III) oxide is often called rust, and to some extent this label is useful, because rust shares several properties and has a similar composition. To a chemist, rust is considered an ill-defined material, described as hydrated ferric oxide. Pressure-sensitive tape, known also in various countries as PSA tape, adhesive tape, self-stick tape, sticky tape, or just tape, is an adhesive tape that will stick with application of pressure, without the need for a solvent or heat for activation. It can be used in the home, office, industry, and institutions for a wide variety of purposes. Another aspect of the programmes was their use of humorous animations based on Hunkin's own drawings. These cartoons were often based around the historical figures involved in the development of a particular technology. Furthermore, the illustrations were an artistic commentary on modern society, including segments on lift fantasies (as shown in the episode "The Lift") and corporate disregard for individuals' rights (featured in many episodes, including "The Radio" and "The Car"). An elevator or lift is a type of vertical transportation that moves people or goods between floors of a building, vessel, or other structure. Elevators are typically powered by electric motors that either drive traction cables and counterweight systems like a hoist, or pump hydraulic fluid to raise a cylindrical piston like a jack. Each programme concluded with an epilogue consisting of an elaborate installation, which resembled an aspect of the machine or technology under discussion. One example was a giant statue resembling a robot, which had been built from scrap computer monitors, printers and other parts, which was blown up using pyrotechnics. 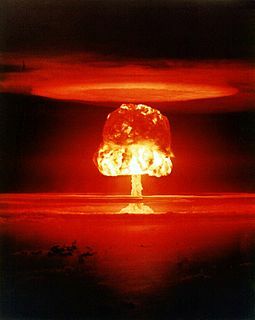 Hunkin described the destruction as an allegorical point that computers are just a collection of transistors and lack "superhuman intelligence". An epilogue or epilog is a piece of writing at the end of a work of literature, usually used to bring closure to the work. It is presented from the perspective of within the story. When the author steps in and speaks indirectly to the reader, that is more properly considered an afterword. The opposite is a prologue—a piece of writing at the beginning of a work of literature or drama, usually used to open the story and capture interest. Some genres, for example television programs and video games, call the epilog an "outro" patterned on the use of "intro" for "introduction". Installation art is an artistic genre of three-dimensional works that often are site-specific and designed to transform the perception of a space. Generally, the term is applied to interior spaces, whereas exterior interventions are often called public art, land art or intervention art; however, the boundaries between these terms overlap. Pyrotechnics is the science of using materials capable of undergoing self-contained and self-sustained exothermic chemical reactions for the production of heat, light, gas, smoke and/or sound. Its etymology stems from the Greek words pyro ("fire") and tekhnikos. Pyrotechnics include not only the manufacture of fireworks but items such as safety matches, oxygen candles, explosive bolts and fasteners, components of the automotive airbag and gas pressure blasting in mining, quarrying and demolition. All the series used animation to help explain various aspect of how the subject devices function. The animation for the series was done by Hunkin himself in a uniquely recognisable format. The first series covers household appliances. Explores how a vacuum cleaner functions. Epilogue: Various vacuums fitted with pyrotechnics fly from a pile, guided by wires, with sparks streaming from the rear like a rocket. Explores how a sewing machine functions. Epilogue: A modern sewing machine is shown embroidering "THIS IS THE END ** GOODBYE" on a piece of fabric. Explores how a central heating system functions. Epilogue: A life-size model of a central heating system, used during the show, begins to spray water everywhere. Explores how a washing machine functions. Explores how a refrigerator functions. Explores how a television functions. In the second group of programmes, devices used outside the home are investigated. The first two episodes are closely related, both dealing with the car and similar vehicles. Explores how a car functions. This episode covers the body/chassis component only. Explores how an internal combustion engine functions. Explores how a quartz watch functions. Explores how a telephone functions. Explores how a radio functions. Explores how a video recorder functions. Epilogue: Scrap video recorders are arranged to spell out "THE END." The camera then zooms out, revealing Tim watching a recorded version of the epilogue. The third and final series concentrated on office-related technology. It also introduced an animated set of fictional characters who worked in the offices of the fictional Utopia Services company. Explores how a lift functions. Explores how a word processor functions. This programme used its core subject as the basis for a look at many significant technologies surrounding modern computer systems, e.g. the typewriter. Explores how an electric light functions. Epilogue: As the camera is lifted into the sky on a crane, what seems at first to be randomly placed house lighting is gradually revealed to actually spell out "THE END"
Explores how a photocopier functions. Explores how a fax machine functions. Explores how an office functions. The final "Secret Life" programme broadcast, this episode covered not just physical technologies, but also the evolution of social engineering involved in the running of an office. 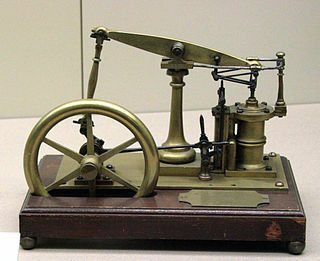 A steam engine is a heat engine that performs mechanical work using steam as its working fluid. The steam engine uses the force produced by steam pressure to push a piston back and forth inside a cylinder. This pushing force is transformed, by a connecting rod and flywheel, into rotational force for work. The term "steam engine" is generally applied only to reciprocating engines as just described, not to the steam turbine. The series was released on video tape and DVD. It subsequently became available on online streaming sites on the Internet. Home Improvement is an American television sitcom starring Tim Allen that aired on ABC from September 17, 1991 to May 25, 1999, with a total of 204 half-hour episodes spanning over eight seasons. The series was created by Matt Williams, Carmen Finestra, and David McFadzean. In the 1990s, it was one of the most watched sitcoms in the United States, winning many awards. The series launched Tim Allen's acting career and was the start of the television career of Pamela Anderson, who was part of the recurring cast for the first two seasons. Home appliances, also known as domestic appliances, are electrical machines which helps in household functions, such as cooking, cleaning or food preservation. A doomsday device is a hypothetical construction — usually a weapon or weapons system — which could destroy all life on a planet, particularly Earth, or destroy the planet itself, bringing "doomsday", a term used for the end of planet Earth. Most hypothetical constructions rely on the fact that hydrogen bombs can be made arbitrarily large assuming there are no concerns about delivering them to a target or that they can be "salted" with materials designed to create long-lasting and hazardous fallout. Call for Help, also known as CFH, is a computer-themed television program that first aired exclusively on TechTV, a cable and satellite television network focused on technology, and then aired on G4techTV Canada and the HOW TO Channel in Australia. The final taped episode aired on February 26, 2007, but because the episodes were taped out of order, a number of other episodes taped during the same shooting week aired through April 6, 2007. A spin-off called The Lab with Leo Laporte aired much of the same content as Call for Help and ran on the same networks. The Lab was canceled about one year later due to low viewer ratings and the final episode aired in August 2008. Force Five was an American adaptation of five different anime television series. In the United States, this series was primarily shown only in New England, Pennsylvania, and Virginia, though it did make brief appearances in other markets, such as Texas and Northern California on KICU-TV 36. It was also shown in Toronto, Ontario, Canada on CFMT channel 47 and in Asia on Star Plus during the 1990s. It was produced by Jim Terry and his company American Way, and it consisted of five imported Japanese giant robot serials in response to the popularity of the Shogun Warriors toy collection. Mattel was one of the sponsors of the series. Rainbow was a British children's television series, created by Pamela Lonsdale, which ran from 16 October 1972 to 24 March 1997. It was intended to develop language and social skills for pre-school children, and went on to win the Society of Film and Television Arts Award for Best Children's Programme in 1975. It aired five times weekly, twice weekly on Mondays and Wednesdays then Tuesdays and Fridays, and finally once weekly at 12:10 on Fridays on the ITV network. Zzzap is a British children's television comedy programme. The concept of the show is a giant 18 ft comic that has been brought to life. The show was broadcast on ITV from 8 January 1993 until 21 September 2001 and was produced for ten series by The Media Merchants and Meridian Broadcasting. The Super Mario Bros. Super Show! is an American television series, conceived by Andy Heyward, produced by DIC Animation City, and distributed by Viacom Enterprises in association with Nintendo, airing during 1989 from 4 September to 1 December. The series was based upon Nintendo's Super Mario Bros. and Super Mario Bros. 2, and was the first of three programmes to be based upon the Mario video game series. Each episode consisted of live-action segments starring Lou Albano as Mario and Danny Wells as Luigi alongside a special guest, either as themselves or a character for the segments. The remainder of the programme was dedicated to animated stories of Super Mario Bros., starring the voices of Albano and Wells in their respective roles alongside Jeannie Elias, John Stocker, Harvey Atkin, every weekday until 16 November; for every Friday of the week and the remaining episodes The Super Mario Bros. Super Show!, it was accompanied by animated serials of The Legend of Zelda, based on the video game of the same name and starring the voices of Jonathan Potts, Cynthia Preston and Len Carlson, until the conclusion of the programme. 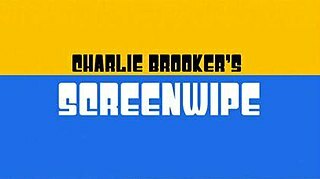 Charlie Brooker's Screenwipe is a British television review programme created and presented by Charlie Brooker and broadcast on BBC Four. The programme contains reviews of current shows, as well as stories and commentary on how television is produced. The Computer Programme was a TV series, produced by Paul Kriwaczek, originally broadcast by the BBC in 1982. The idea behind the series was to introduce people to computers and show them what they were capable of. The BBC wanted to use their own computer, so the BBC Micro was developed as part of the BBC Computer Literacy Project, and was featured in this series. 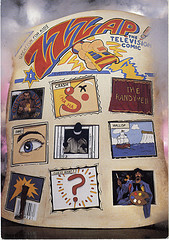 The series was successful enough for two series to follow it, namely Making the Most of the Micro in 1983 and Micro Live from 1984 until 1987. 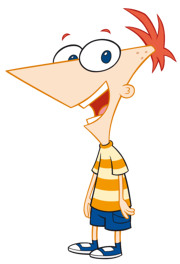 Phineas Flynn is one of the characters of the animated television series Phineas and Ferb. Voiced by Vincent Martella and created and designed by Dan Povenmire, Phineas first appeared along with the rest of the series' main characters in the pilot episode "Rollercoaster". Phineas, along with his step-brother Ferb Fletcher, stars in each A-Plot of every episode. Project Mathematics!, is a series of educational video modules and accompanying workbooks for teachers, developed at the California Institute of Technology to help teach basic principles of mathematics to high school students. In 2017, the entire series of videos was made available on YouTube. The Ricky Gervais Show is a British comedy cartoon series produced for and broadcast by HBO and Channel 4. The series is an animated version of the popular British audio podcasts and audiobooks of the same name, which feature Ricky Gervais and Stephen Merchant, along with colleague and friend Karl Pilkington, talking about various subjects behind the microphone. The TV series consists of past audio recordings of these unscripted "pointless conversations," with animation drawn in a style similar to classic era Hanna-Barbera cartoons, presenting jokes and situations in a literal context. Son of God is an award-winning British documentary series that chronicles the life of Jesus Christ using scientific and contemporary historical evidence. It was presented by Jeremy Bowen, and its first episode premiered in the United Kingdom on 1 April 2001. The executive producer was Ruth Pitt and it was directed by Jean-Claude Bragard—it took a total of 16 months to produce and cost GB£1.5 million. A full symphonic score was composed by James Whitbourn. Son of God featured interviews with 21 historians and other Biblical experts, live action reenactments of the life of Jesus with Leron Livo in the lead role, and computer-generated images of what locations from Jesus's time might have looked like. These images, created by design team Red Vision, were praised by critics and received an Outstanding Achievement Award at the 2001 Royal Television Society North Awards. The Dance Years was a British documentary series created by Glenn Sims and written and presented by radio DJ Dave Pearce. It premiered on 21 July 2001 on the British channel ITV. The 14-episode series focused on dance music in the UK between 1988 and 2001, with each episode charting Pearce's personal top 10 dance tracks for a particular year. The programme also explored the year's most influential people, songs and nightclubs. Each episode was broadcast on ITV on Saturday mornings at approximately 1 a.m. Dorian Lynskey of The Guardian described The Dance Years as being part of a "bumper year" for retrospectives of dance music. "Holly Jolly Secrets" is the collective name for the nineteenth and twentieth episodes of the third season of the American animated television series Adventure Time. The episodes were written and storyboarded by Kent Osborne and Somvilay Xayaphone, from a story by Mark Banker, Kent Osborne, Patrick McHale, and series creator Pendleton Ward. It originally aired on Cartoon Network on December 5, 2011. ↑ Woods, Sarah (20 May 2004). "Tim's weird and wonderful experiments". Richmond and Twickenham Times . Weybridge, England, United Kingdom. ISSN 1758-9304. OCLC 500308012 . Retrieved 4 March 2012. ↑ Harvey, Robin (27 May 1995). "Practical TV crafts entertain". Toronto Star . Toronto, Ontario, Canada: John Cruickshank. p. H2. ISSN 0319-0781. OCLC 137342540 . Retrieved 4 March 2012. ↑ "Critic's Choice". Minneapolis Star-Tribune . Minneapolis, Minnesota, US: Michael J. Klingensmith. 26 January 1993. ISSN 0895-2825. OCLC 61312696. ↑ Werts, Diane (15 May 2004). "OFF THE WALL". Newsday . Melville, New York, US: Fred Groser. p. C01. ISSN 0278-5587. OCLC 5371847. ↑ Barnhart, Aaron (21 May 2004). "Sweeps wind down with a few fresh shows". The Kansas City Star . Kansas City, Missouri, US: Mi-Ai Parrish. p. E9. ISSN 0745-1067. OCLC 3555868. ↑ Hunkin, Tim (2012). "tim hunkin/giant steam clock". timhunkin.com. Tim Hunkin. Retrieved 4 March 2012. ↑ Hunkin, Tim (2012). "secret life of machines 1". timhunkin.com. Tim Hunkin. Retrieved 4 March 2012.